The benefits and positive outcomes of inclusive education (where a variety of students are welcomed and attend the same school and work together in age-appropriate, regular classes and are supported to learn, contribute and participate in all aspects of the life of the school) are now well recognised world-wide. The possibility of including students with certain disabilities enriches the learning experience for them, for the class as a whole, for the other students in the class as individuals and for the teacher. The inclusion of some students who learn differently within the whole class context can and does provide a wonderful opportunity for all to learn about each other and grow together. It may be that some students are better placed in remedial classes where particular programmes address their specific needs. There are some very well respected remedial schools and remedial units within a mainstream school in the greater Durban area. Where possible, however, it is considered of real benefit and worth to practice inclusive education. But inclusion is much wider than a consideration of varying learning abilities – for such a variance exists in every classroom. Practicing inclusivity in education has a very valuable contribution to make to a peaceful and co-operative plural society. As the school year begins, we would like to pause to reflect on the social mission of Waldorf education in the context of our times. As an educational institution, we are aware of our important role to educate children to grow into engaged and compassionate adults. The foundational principles of Waldorf education demand that we take our citizenship in the world seriously, and assume that the context of current society will both impact our students and in some way inform the approach and content of our educational programmes. Two of the foundational goals of Waldorf education are: 1) to recognize the unique and equal value of every human being and 2) to foster social renewal by cultivating human capacities in service to the individual and society. Out of these founding ideas, Waldorf Schools, which exist all over the world, have historically sought to include and defend marginalized populations and to build bridges between people. This dual task, to being fully awake to the world while dedicated to the care of the individual children whom we serve, is a driving force in the work of every Waldorf school. 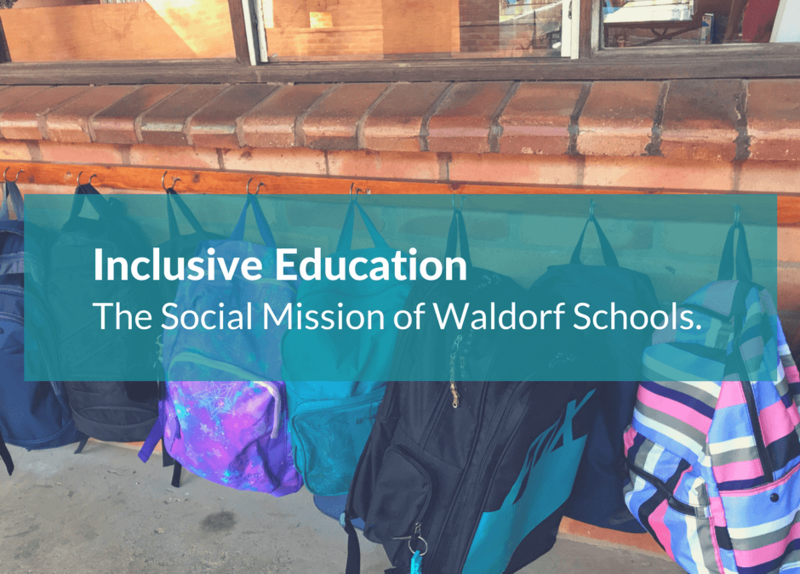 Waldorf schools in South Africa and across the globe continue to work to promote: multiculturalism and diversity in the curriculum, an inclusive festival life, a welcoming and inclusive physical environment, and equity in all walks of school-life. In addition, they continue to work together, as teachers, staff and parents to attend to the social-emotional health of students, and to consider ways in which they can engage students in projects that ignite hope and build inner strength.